For a different look to your room there are the old style column radiators which come in a variety of finishes and colours. 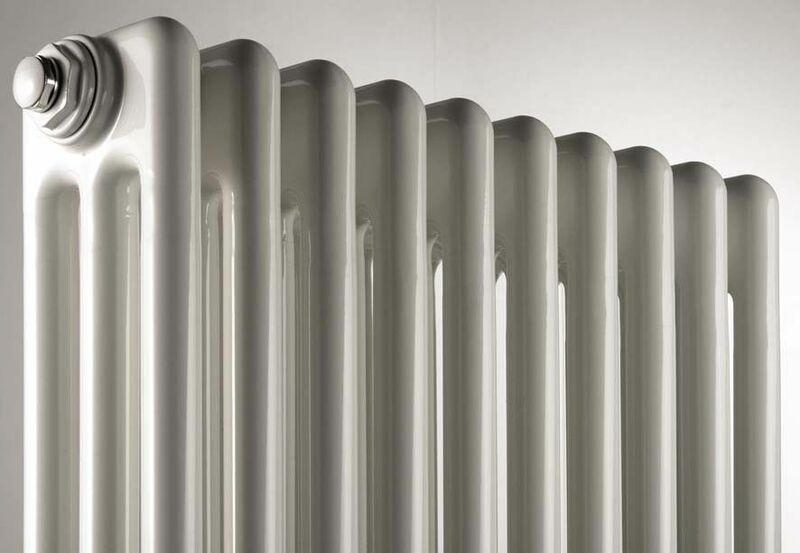 The cost of these radiators is greater as they are made to order radiators based on the classic cast iron design. Most of us prefer to believe that global warming is largely affected by the gaseous and chemical outpourings from modern industry, and as such, is something that we as individuals have little power to change. In fact, the energy used by UK homes is now the biggest portion in total national energy use. To try to avert the quickening global crisis, homeowners can and should take steps to prevent energy loss and heat wastage from their properties. In response to the global warming situation and the subsequent Kyoto treaty to reduce carbon emissions, additions to the Building Regulations were introduced in April 2005 to prevent energy losses from new and renovated properties. The Part L Regulations introduce building legislation that aims to reduce energy consumption by 25%. Manufacturers of heating products and systems are now creating energy efficient goods in line with these new regulations, and there are also an increasing number of Eco-friendly systems being developed that try to utilise naturally occurring environmental resources.